If your kid is a huge lover of big cats, then this children's decorative wall sticker is the absolutely perfect vinyl for you! 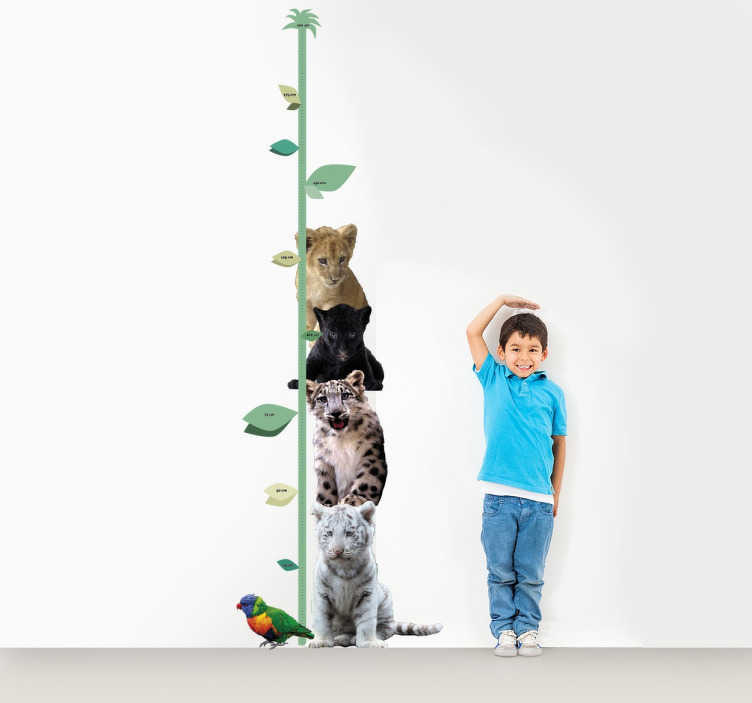 Featuring a measuring tool to keep track of your child's growth and a series of big cats, this sticker is applicable to any smooth hard surface and is available in a wide variety of different sizes. As easy to apply as it is to remove, this height chart leaves absolutely no residue upon removal!